This uniformly grey bird has a rather unremarkable appearance but is easily recognized by its behaviour: when not diving underwater and swimming in pursuit of its insect prey, it can be seen bobbing up and down near swift streams. It is wren-shaped, with a short stubby tail, long light-coloured legs, and white eyelids. Click here to listen to its clear, bubbling song. The American dipper is always found in or near clear, swiftly-flowing streams from coastal areas to mountains. It is found year-round in much of western North America, particularly mountain ranges, from Alaska to southern California and south into parts of Central America. It does not migrate, but may move to higher or lower elevations as smaller, more mountainous streams melt and freeze with the seasons. Nesting sites need to be near streams - though not too close in case of floods - and safe from predators. 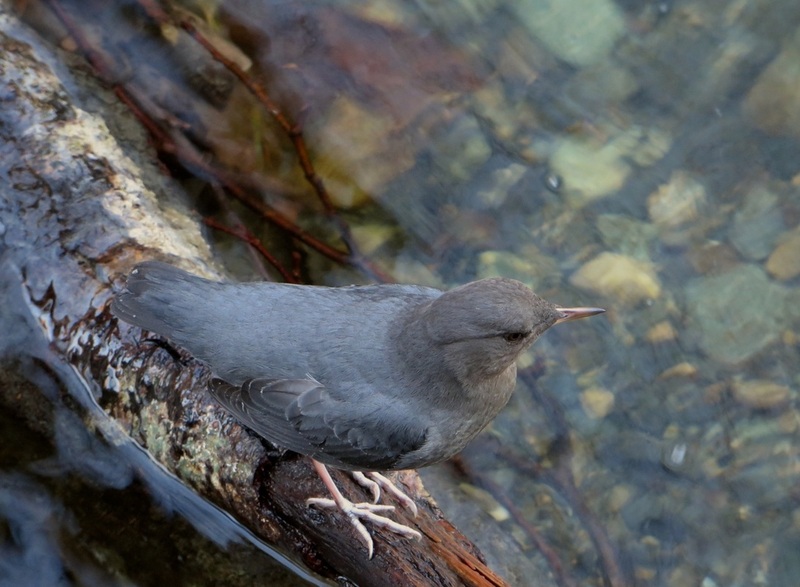 American dipper populations seem to be limited by the availability of suitable nest locations. 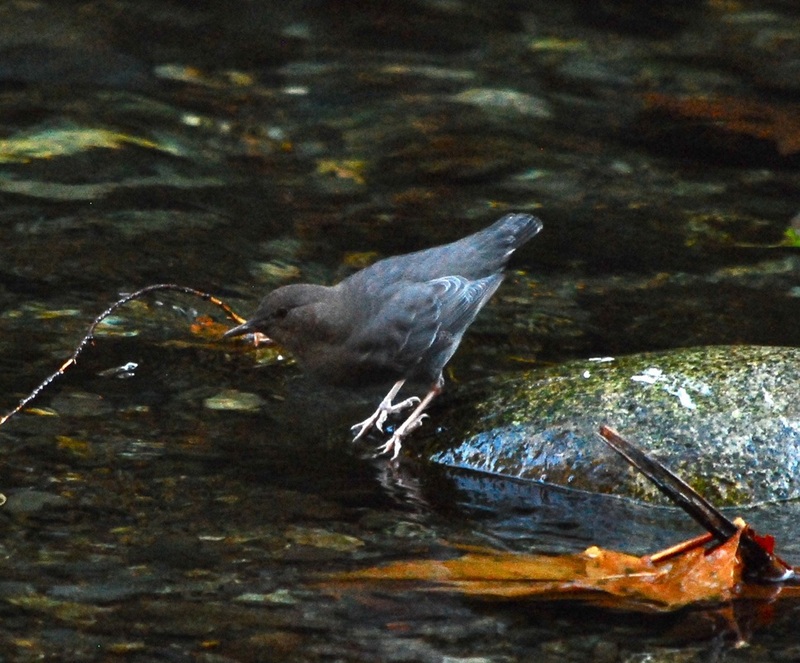 See the E-Fauna species page to learn more about American dipper biology. American Dipper. The Birds of North America Online (A. Poole, Ed.). Ithaca: Cornell Lab of Ornithology. Retrieved from the Birds of North America Online. Accessed 10/12/2014. American Dipper Cinclus mexicanus. Audubon Birds. National Audubon Society. Accessed 10/12/2014. Dunn, J. L. and Alderfer, J. (Eds.). (1999). National Geographic Field Guide to the Birds of North America. (3rd Ed.). Washington, D.C.: National Geographic Society. Pp. 336-337.